It’s been 5 years since the New2U Thrift Shop‘s very first Biannual Bazaar was organised. 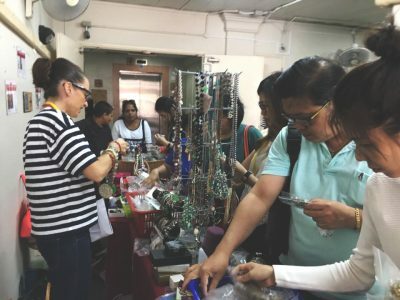 The popularity has grown steadily each year, and this year’s bazaar held on 13 May was no exception! Even before the gates were opened, there was already a line of eager shoppers waiting outside. As soon as the gates were opened at 10 am the excited shoppers dashed in to grab the best deals. Within minutes, the designer room was packed to its brim. Shoppers were spoilt for choice as they had a vast array of designer bags, clothes and shoes to choose from. For those who were not particularly brand conscious, were treated to a variety of accessories, shoes and clothes that were found in the other rooms. The reasonably priced items gave shoppers a reason to spend without guilt. Apart from the designer items, many were drawn to the jewellery booth, a new section which was larger and better than the last bazaar. We have to thank Embrace Jewellery, a home grown multi brand jewellery store for this. They donated more than a thousand of pre-loved accessories that were collected through a donation drive conducted over the past few months. The drive was such a hit even with local celebrities. A couple specially came to the bazaar so they could purchase the items donated by the celebrities. 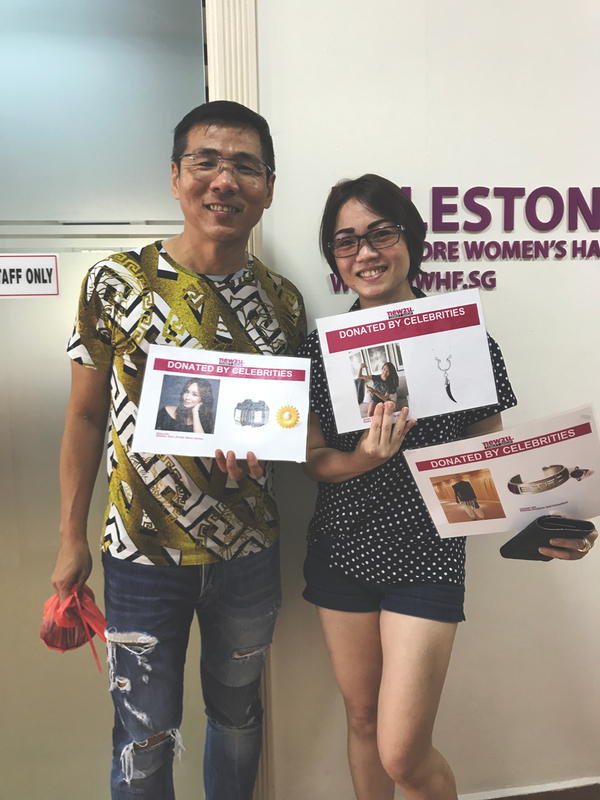 “We are big fans of Diana and Jamie and were excited to purchase their donated jewellery!” they shared. We would like to thank our dedicated volunteers for their hard work in the weeks leading up to the day of the bazaar, and on the day itself. A big thank you also, to everyone who came down to support the bazaar! Proceeds from the bazaar go to the Star Shelter and other SCWO activities. Remember to like our Facebook page to get frequent updates, daily promotions and upcoming bazaars!